How is The World Typing? Take Our Scientific Typing Test to Compare! Now you can compare your typing skills to the rest of the world while contributing to science – thanks to the Scientific Typing Test developed by researchers in Helsinki and Cambridge. Take the Scientific Typing Test now! TypingTest.com has teamed up with researchers from Aalto University and University of Cambridge to create the first scientific online typing test. Spend 5 minutes of your time and get extensive statistics on your speed and errors based on scientifically approved methods. A better controlled test procedure allows us to estimate your performance more reliably so that you can better track your progress and compare your results to others. But there’s more: with the Scientific Typing Test you have the opportunity to contribute to science. Why is this important? 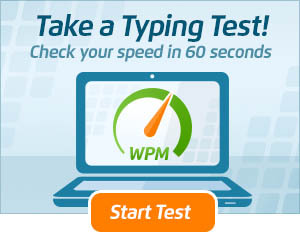 Do you know how fast an average typist is? Are women faster or more careful than men? Is young age a benefit? Are typists in California faster than those in New York? It turns out that nobody knows answers to these basic questions. While keyboards have stayed pretty much the same for decades, *everything* around them has changed. Typists are no more just secretaries and operators. Today, we use our keyboard for different purposes from chatting to programming or gaming. And most of us don’t have formal training in typing. Alas, the bulk of scientific studies of typing comes from 1980s where things were radically different. Take the Scientific Typing Test now. Get improved measures of your speed and accuracy and extensive statistics on how you compare to others. In addition, your typing data helps research to better understand how people type today. Note that no personally identifying data is collected. Your typing data is anonymous and treated confidentially. WTF Why is it every single time I take one of the tests I end up with zero wpm. Not so with other tests up to about 55 wpm. Is this site rigged???? Hi Sharon, do you mean the free test at typingtest.com or the scientific test? 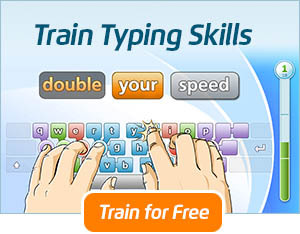 how can i download the typingmaster.pro trial version??? It keeps redirecting me to the scientific test, and it deletes characters.I have to press space every time and it replaces letters. Ok, I checked out this blog to make sure I’m not the only one. The program isn’t recognizing my key strokes. So, it’s not you. THE FREE TEST. MY FRIENDS AND FAMILY ARE STUNNED BY INCONSISTENCIES. Hi, make sure you’re following the highlighted words. If you’re typing ahead of the highlighted words, the test calculates the words as errors. I am replying to the administrator. there is no reply button attatched to his/her post so I’m leaving my reply here: Administrator, If we can never type ahead of the highlighted words then we will never get accurate results on the test. We will only be able to type as fast as the highlighting moves. Defeats the purpose of taking the test, right? Please explain why its set up like that. Will it be fixed? Hi, the highlight under words doesn’t move unless you type the word. 🙂 It may start lagging if your network connection is bad but I can assure you that in normal conditions it doesn’t affect on your typing speed result. The highlight is moving perfectly along when typing at 90WPM. Sharon your not very bright. Why would you threaten to put the inconsistencies of a free typing test. Mind you, that you took on your own time and of your own free will. How is it right for you a suburban mom that probably does not even know half of what it would take to set something like this up get to threaten this test over problems that I seem never have and I have taken the test multiple times on multiple computers and have had friends and co workers alike take the test with no problems. Please get off the internet with you FB threats this is really cancerous. The scientific test will not load on either Firefox or Chrome. 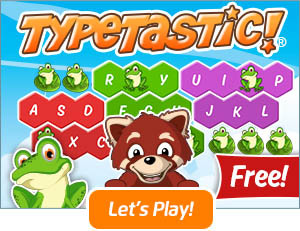 This is one of the first typing test sites that I ever used, and I come back to it occasionally for The Enchanted Typewriter. Also, no inconsistencies with my typing speed. For a couple of sentences I can reach up to 104WPM, but with longer passages, I tend to be in the low-mid 80’s. Hi! Thanks for letting us know. The test creators in Aalto University and University of Cambridge are working on fixing the test! Something is wrong with your site, it’s not recognizing any of my key strokes. Obviously I’m able to type, so my suggestion is if you want people to use your site, you might want to fix that. Hi, are you using Typing Trainer with Edge? Our applet doesn’t currently support Edge, try with another browser and it should work. I can’t take the test because ads keep popping up over the left side of the text. There is no way of making the ads go away. Another will pop up if you are able to get rid of one. Hi! Thanks for letting us know, we’ll disable the pop-up ads. Where is the Dvorak layout for the scientific typing test? I don’t type in QWERTY, QWERTZ, or AZERTY. Where can the data from this experiment be publicly seen? The researchers will be publishing the data when they have analyzed the results. Unfortunately we don’t have any specific date to give. If we follow the blog via e-mail, will that help me/us find out when the study’s results have been posted? Hi Dana, you’ll get a notification about a new post if you follow the blog. The researchers haven’t provided us with an abstract that could be used in a blog but we’ll be posting the results in a new article eventually. More typing exercise options please because the same one’s are not nice to me. Especially the hellish typewritier test. why would anyone waste there time chatting on this website? Unfortunately, I was unable to accurately answer the question regarding keyboard layout. I am a Dvorak typist, so none of the options for that question were appropriate. Sometimes I accidentally press enter. I purchased my license over 8 years ago but haven’t used it for a long time. I opened up the program tonight and it is telling me that I am on the “Limited Trial Version” and that I have to buy a license online. I’ve already PAID for one but I don’t see any instructions on how to fix this error. Please contact me at the email address I have provided to instruct me how to fix this. Thank you. The free typing lessons do not recognize what keys I am typing, and always say I am wrong, and the test is inconsistent, always giving me random scores.. Scam??? Hi Jaden! Are you referring to Typing Trainer lessons? If you’re using Edge I recommend to try with another browser. We’re releasing an updated HTML5 version of the free typing lessons soon and that should work with Edge as well. Please note: The German version of the typing test does not work on a standard German keyboard. The key of the umlaut ‘ä’ does not work in the test-text. Scientific Typing Test, nice ! Hi.I am currently having an issue with the website gradually reducing my typing speed.I cannot type correct characters due to it replacing the letter that i last typed. How do i fix this? I really like your 60’s second typing test , it is a very funny web, would you mind to provide more article on the test,many thanks!